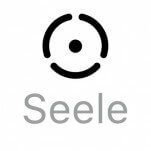 Seele is empowered by a Neural Consensus protocol for throughput concurrency among large scale heterogeneous nodes and is able to form heterogeneous forest multi-chain ecosystem. Neural Consensus Algorithm. Seele created "Neural Consensus Algorithm". It transforms the consensus problem into an asynchronous request, processing and sorting data in a large-scale environment based on "micro-real numbers". Value Transport Protocol (VTP) and Value-Chain HTTP (VHTTP). VTP is based on the heterogeneous forest network architecture. 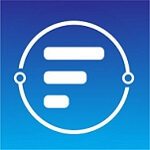 The agreement covers the uniform identification of the assets on the chain and the routing strategy for asset discovery. VHTTP implements the exchange of values among chains, between on-chain and off-chain. Quick Value Internet Connection (QVIC). In the case of wide area network, for network jitter, packet loss and other characteristics of instability. QVIC conducts targeted optimization.